Keeping that sales pipeline flowing is how businesses keep growing. So when marketing automation can provide significant, measurable improvement, doesn’t it just make business sense to take a few minutes to learn more about it? Take the first step toward automated marketing: Download the new ebook. 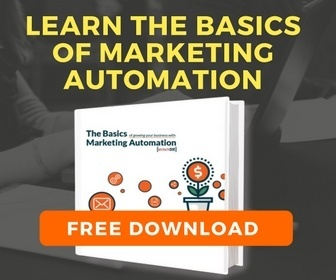 StitchDX has just released its newest ebook, The Basics of Growing Your Business with Marketing Automation. As the title promises, it’s a primer on the business benefits of marketing automation—with the added bonus of a comparison guide to today’s most-used platforms. When you understand Marketing Automation, it makes perfect business sense. It’s a full-time job (with lots of overtime) just keeping a small or medium-size business operating. SMB owners and managers know the importance of a steady stream of leads, but changing marketing practices is hard—even if those practices aren’t getting great results. Popular Marketing Automation Solutions—including platforms designed for small, mid-sized and enterprise-level businesses (when it comes to Marketing Automation, one size does NOT fit all! It’s not just about keeping your sales pipeline full. It’s also about CLOSING more sales. With an effective inbound marketing program, your sales team spends less time with “dead-end” leads, more time working qualified leads to closing. Sales close faster, and customer relationships are stronger. Marketing automation is the linchpin, and you’ll understand its business benefits in the StitchDX ebook, The Basics of Growing Your Business with Marketing Automation. Every SMB wants to increase sales effectiveness—and inbound marketing programs powered by marketing automation are increasingly recognized as highly cost-effective solutions. Feel free to contact the StitchDX team with any questions you may have, and be sure to download the ebook here.